BINGO EVERY THURSDAY AT 6:50PM. DOORS OPEN AT 5PM. Welcome to Yorktown Elks Lodge #2324 in Yorktown Heights, New York! We are located at 590 Waverly Rd, Yorktown Heights, NY. 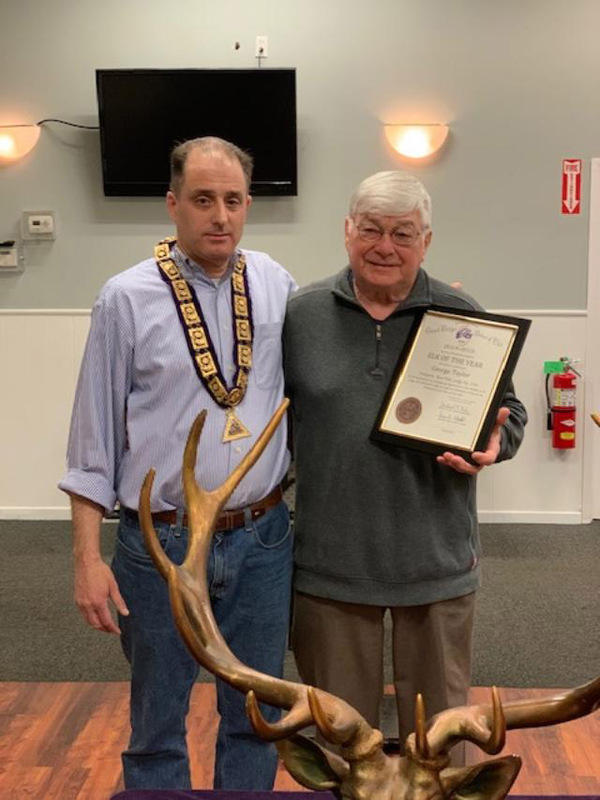 Yorktown Elks Lodge #2324 Exalted Ruler Steven Brawitsch (left) presenting George “Scottie” Taylor with the 2019 Elk of the Year award. 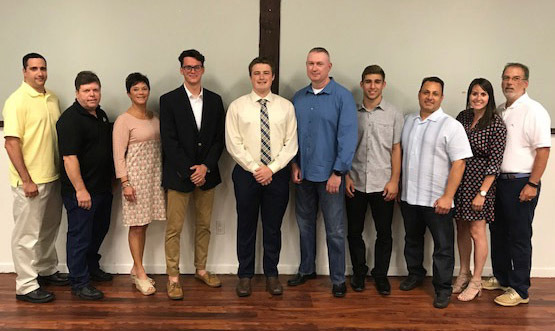 2018 Elks Lodge #2324 Scholarship Winners (from left to right) Bob Pavletich, Bob Kramer, Barbara Ahearn, John Ahearn, Sean O’Connor, Mike O’Connor, Patrick Patierno, Pat Patierno, Diane Pavletich, Brian Wolfson. 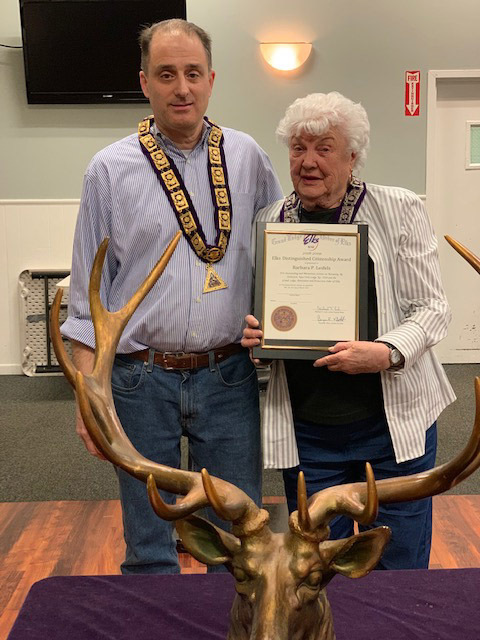 Yorktown Elks Lodge #2324 Exalted Ruler Steven Brawitsch presenting Barbara Leifels with the 2019 Citizen of the Year award.